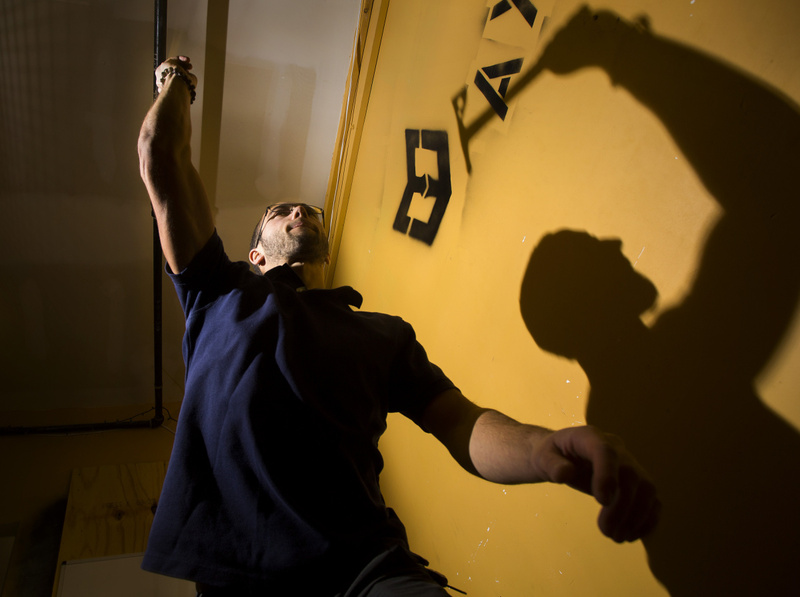 Tim Johnson, owner of Maine Warrior Gym in Westbrook, shows his form in The Axe Pit as instructor Connor Winn watches. Gift certificates for the ax-throwing class are trending as holiday shoppers look for alternatives to material gifts. Stephanie Harmon, owner of Hustle and Flow, demonstrates some of the techniques she teaches at her Portland dance and exercise studio this week. For some, experiential gifts can be a gentle nudge toward better fitness, she said. Instructor Connor Winn lets loose at Maine Warrior Gym in Westbrook. 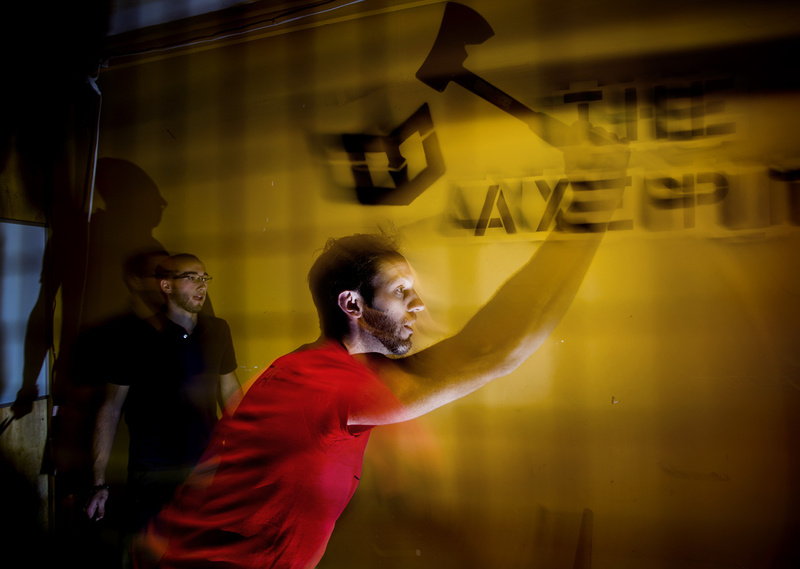 A growing trend for experiential gift-giving has turned his ax-throwing class into an unexpectedly popular sideline at the gym. Ninja-style training classes for kids represent the principal offerings at Tim Johnson's Maine Warrior Gym in Westbrook. 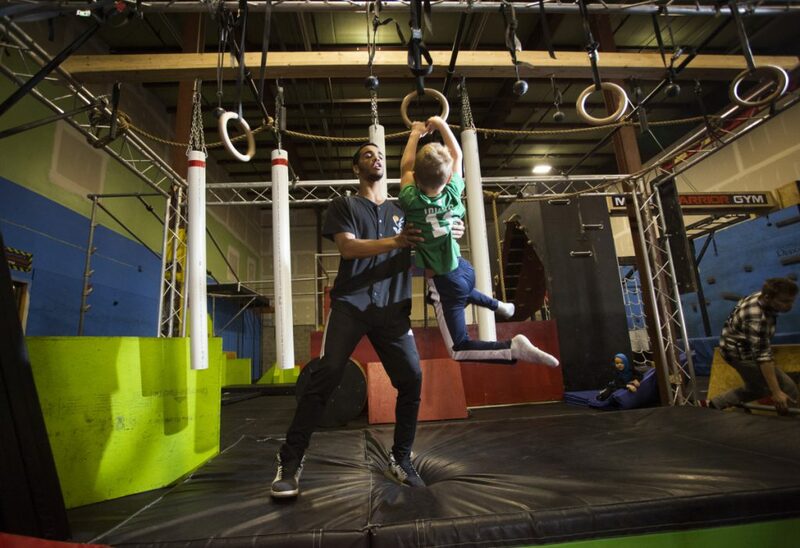 Here, instructor Trevor Rogers helps a boy on the rings last week.